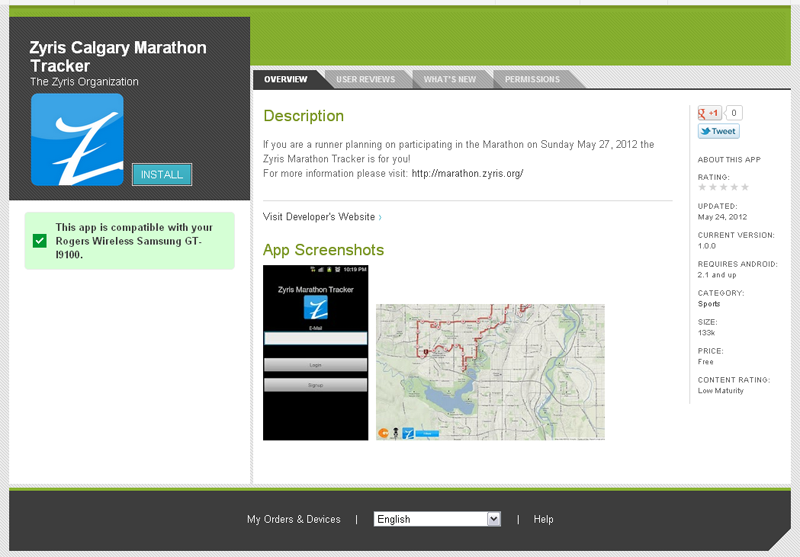 The Zyris Organization: Android: Zyris Calgary Marathon Tracker - Download Now! The application is expected to run for an average of 7 to 8 hours on a single battery charge, however runners with an HTC EVO 3D may experience some reduction in battery life (while the application is running). We would like to recommend that all runners attempt to test the application on the device prior to the race. Download the application now via the Android marketplace.